THE British Ambassador to Spain, Simon Manley who is currently on tour of Northern Spain and Costa Blanca on official duties, kindly managed to find the time to comment on the exciting news that Euro Weekly News had been voted Best Free Publication in the recent AEEPP awards. 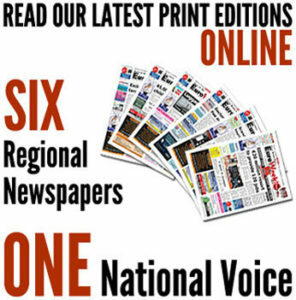 “I was delighted to see that Euro Weekly News won the Best Free Publication award at the AEEPP awards: it’s an impressive achievement for an English-language newspaper to beat off the Spanish language competition and a tribute, I think, to the important role that the English-language press in general plays across Spain. My congratulations to Michel, Steven and the team at EWN” observed Ambassador Manley.